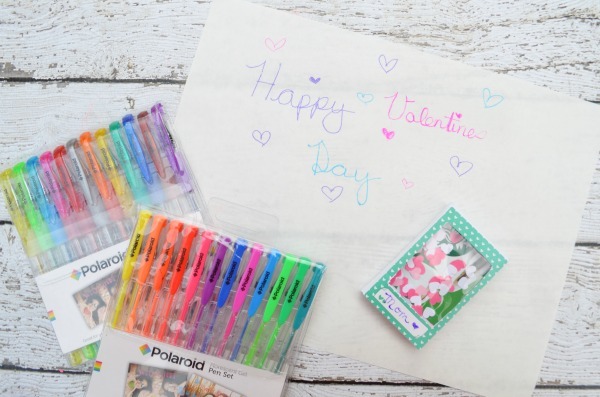 Valentine’s Day is just a couple days away and I’ve teamed up with Polaroid on this sponsored post and giveaway to bring you an easy handmade gift idea. With the help of their new paper craft line I was able to embellish this easy printable gift card box. I crafted mine up with the idea of tucking a gift card inside, but it’s also the perfect size to slip a 2″ x 3″ photo inside. Super cute, right? The great selection of photo stickers means you can customize these gift card/photo boxes for any occasion. Print and cut the gift card box. Score along the dotted lines with the edge of the scissors. Fold inwards, except the last scoring line, fold backwards. This will become the back of the gift card box card. Place the photo sticker on top of the section closest to the tabs. Cut out the center of the cardstock so there is an opening to match the sticker. Cut a piece of cellophane just slightly lager than the opening. Flip the card over and glue along the edge of the opening. Place the cellophane and stretch so it’s taut. 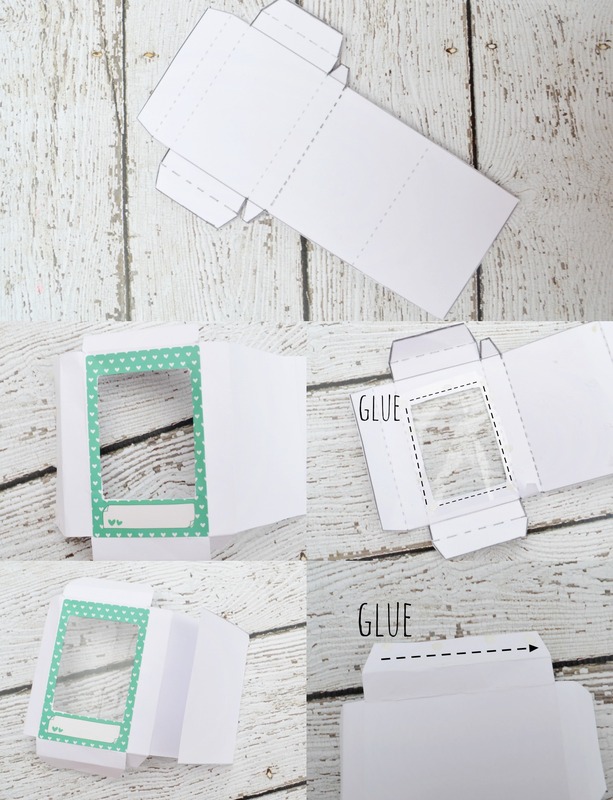 Glue along the tab and fold the box together. Tuck in the bottom tab, secure with a piece of tape. 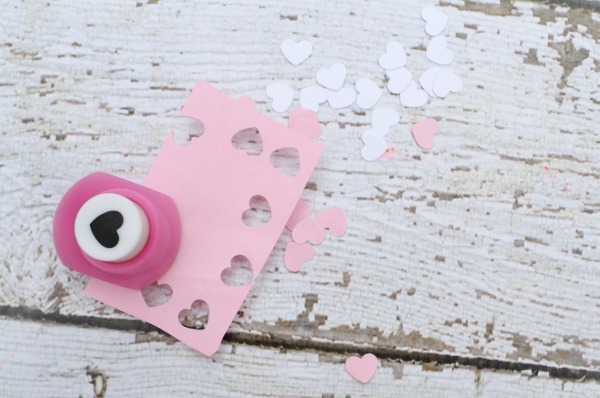 Using the heart photo punch, punch hearts out of different colored papers. 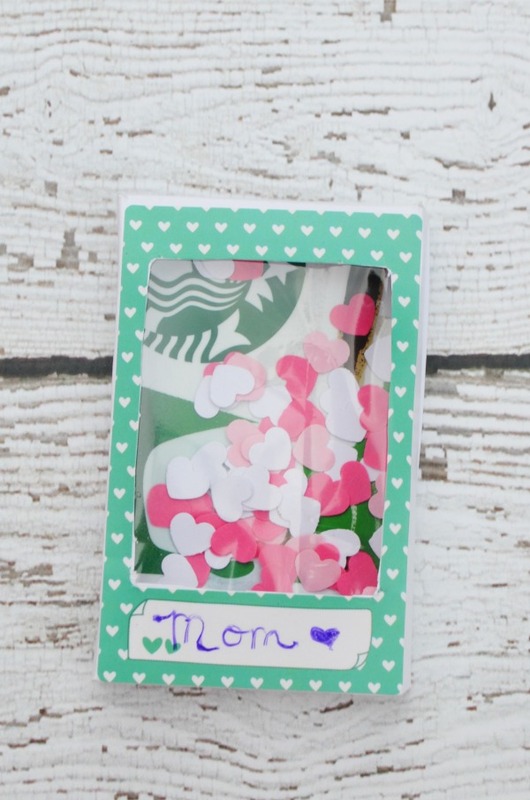 Place your gift card or photo inside, then the heart cutouts. Close the lid. Secure with tape or a fun sticker. The back part can be used to add a personal note. 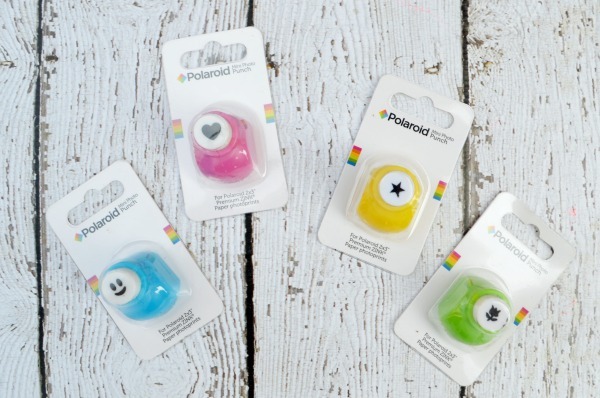 Polaroid’s new paper crafting line makes creating fun and easy. 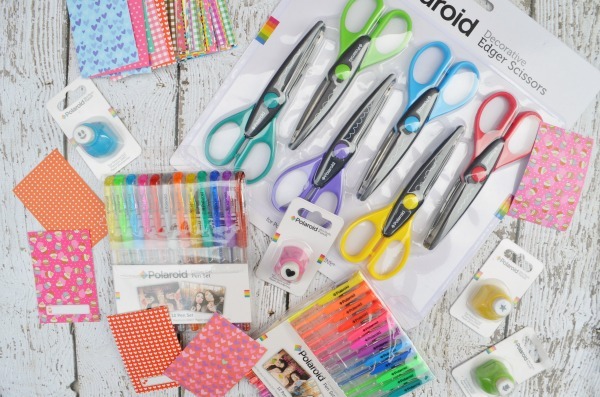 The line includes a collection of tools perfect for scrapbooking, kids crafts, and card making. Doodle, mark-up, and and add details to projects with vibrant gel pen sets. With neon, glitter and metallic tones to choose from there’s something to fit every project. The glitter pens add a nice shimmer I just loved for my Valentine’s Day card boxes. These adorable mini photo punchers cut easily through paper and photos. 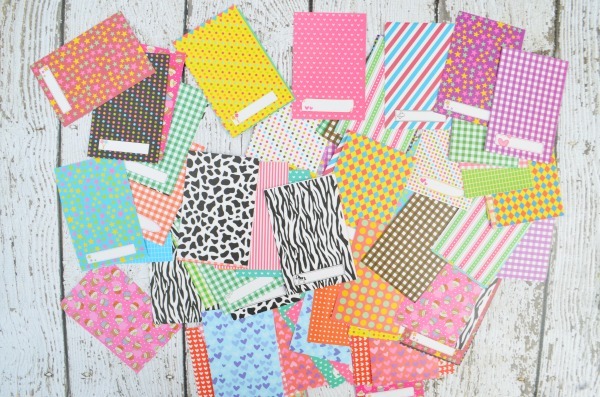 They’re perfect for making confetti or adding a little flair to scrapbook projects or cards. Embellish projects with decorative edge scissors. There are 6 designs to create distinct personalities on card edges and photos. The border stickers are perfect for framing Polaroid prints for all kinds of projects. There is a huge selection of fun patterns to help bring those gifts, cards, and memories to life. Most of the stickers have a little spot for adding a note- perfect for marking up with the selection of gel pens. I can’t wait to try the new gel pens out on my adult coloring books too! 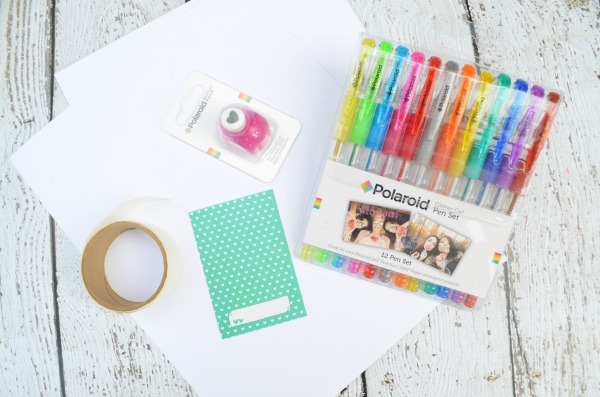 Tell me what new product you’re most excited to try out and enter to win your own set of Polaroid paper crafting supplies below. Like it? Pin it to save for later! My favorite item would have to be the new gel pens! I would love that for some personalized stationery and also I know my kids would enjoy using them for the greeting cards that they make for our family members. My favorite thing from this line would definitly be the Peek a boo gift card boxes. These are super cute and adorable. I love everything in this but this is my favorite!!! I am a big giver of gift cards so I would use these especially for my grandkids gift cards as well as other people that I give them to in order to add a personal touch to the cards. Like the gift card boxes, like how you can add a personal touch to the gift card. I love the decorative scissors. I would use them for school fair projects and cards for teachers. Those gel pens are gorgeous! What a fun project. I love the decorative edger scissors. I love the pack of decorative edge scissors. My son and I would make some fun cards and other crafts with those. I am, and always will be, a sucker for the fancy edger scissors! And I’d use it for decorating my wall at work. I like to cut stuff out (snowflakes for the winter, hearts now, four leaf clovers next month, etc.) while I’m on hold on the phone and it’d be more fun with these! I like the decorative edge scissors. I would use them to make neat cards. I love the gel pens the best. I love the mini photo punchers and the decorative edge scissors! They look awesome! I would make some cards! kristiedonelson(at)gmail(dot)com Thank you. Happy February! I love it at all but love the pens the most! I would let my kids make crafts for their teachers and family! The photo punches look awesome! I love the gel pens! I would use them with adult coloring books. the punchers are the best! id use them for filling jars and boarders of fames! all of this would be so fun to create with! I would make greeting cards and use the scissors to add decorative edges. The scissors look like fun. I have no idea what I would use them for though. Isn’t that what Pinterest is for? LOL. We really want the gel pen set. My daughter loves to do adult coloring and is asking for some. It helps with her anxiety. i love the mini paper punches! I like the gel pens. They are so versatile and would come in handy a lot for projects. I really like the edger scissors. 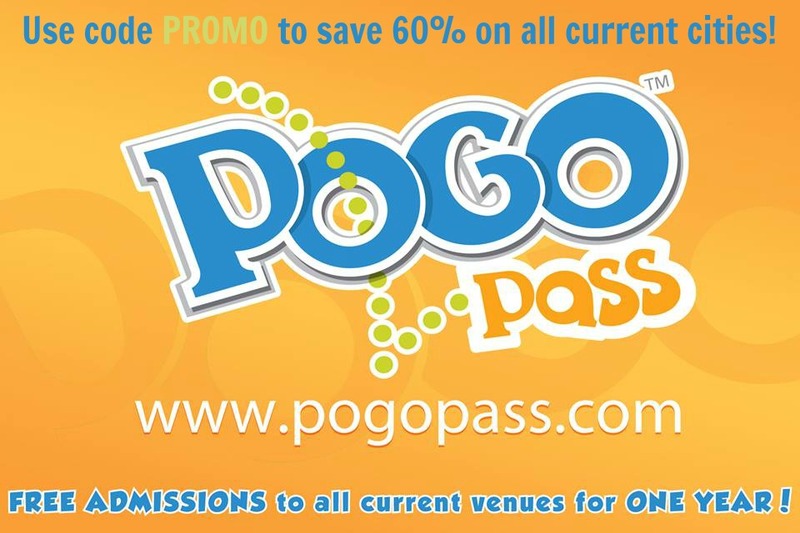 They are great for scrapbooking and crafts. The gel pen set is really useful! Would use it for everything! especially for making cards! I love the gel pens and I would love to draw with them. The decoration edge scissors, it will definitely help with crafting my photos . I like to make my photos stand out with different edge patterns. My favorite is the decorative edge scissors. I would use them to make cards and other paper crafts. I would love to try the border scissors!! I am in love with the Edger Scissors. I could use these in my classroom making all my posters and things extra cute! The gel pens are awesome. I would like to try those. My favorite item is tbe the new gel pens! 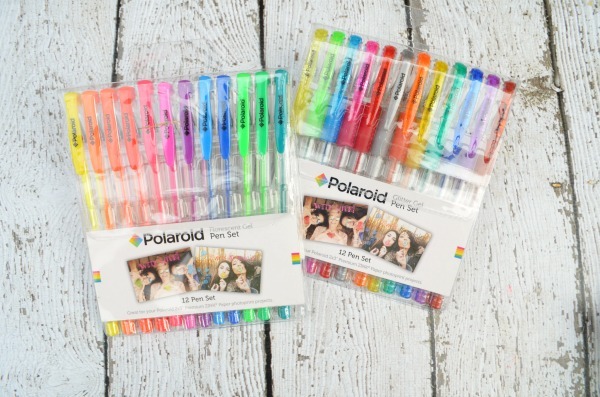 My favorite item has to be Polaroid Colorful Glitter Gel Pens For 2×3 Photo Paper Projects. My Granddaughter and I do lots of projects with Gel Pens. I would use it with her to make decorations and color on cards and paper projects. Gel pens! I love them for making cards. I had no idea Polaroid had paper crafting supplies. Love this project too – so cute! I love their new cameras. I’ve been wanting to get one for my son. I love the mini photo punches. Would have been perfect to make Valentine’s !! Everything looks awesome but the gel pens are my favorite! I love crafting and am preparing for out third baby due in 2 months so this would be awesome to do new baby projects with! The scirrors are pretty cool. I would use them for lots of projects. I like the gel pens. I would use them to make cards. I like the gel pens. I will use them to make cards and scrapbook. I really like the mini photo punchers! We use this type of punches a lot when making our homemade birthday tags and cards! I love the mini photo punchers and I would use them for a christmas time scrapbook I’m doing. The gel pens look awesome! 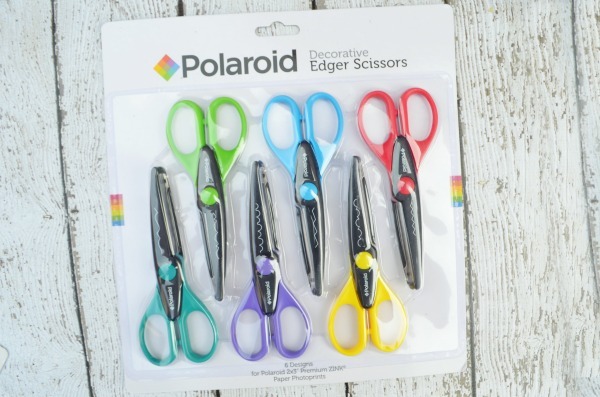 I love everything from the NEW Polaroid photo craft lin, but my favorite is the decorative edge scissors! You can do so much with them! This would be so much fun for my daughter and i.
I like the mini photo punches. I would use them to craft with my daughter. I love the gel pens and I would love to write with them. The scissors are super cute! the scissors would be fun for making cards! I love the new gel pens, I can’t wait to try them! I love the little shape punches. Closely followed by the scissors!! Thank you for the chance! I love the border stickers. I would use them to send cards to my grandson. I love creating cards for my grandson who lives in another state. I would use the border stickers on his cards. I love the gift card boxes i think that would be a great project for my daughter and I. We do a lot of our own cards and invites! I would love to have the scissors because who doesn’t want to add more fun to paper no matter where you use it? I love vibrant gel pens. So I would really enjoy these best. I really like the decorative edge scissors. Those bel pens would be so nice for my scrapbook pages. I love the gel pens and the photo punches. They would help make some fabulous cards! I really like the decorative scissors. I would probably use them to do crafts with my little girl. I like their border stickers in this collection. The decorative edge scissors are wonderful. I can envision lots of creative projects using these scissors! I love the pack of decorative edge scissors I would use them all the time making cards and for gift cards etc. OMG! My kids would love to make confetti with the photo punchers! I want the scissors, my granddaughter would like these to use for her craft projects. I would be thrilled to try out everything in the Printable Gift Card Box + Polaroid Paper Craft Giveaway. The product I am the most eager to try are the borders stickers. I love all the exciting patterns and that they are note-perfect too. I love the decorative scissors. I would use for scarp booking. I love the tiny punchers. They add such a cute element to cards r even place cards. I would love the gel pens, I want to color with them! I love the decorative edge scissors! Would be thrilled to win this for my mother in law! I love gel pens! I enjoy writing and coloring with them, but my husband has forbidden me from buying any more… but he didn’t say that I couldn’t win them! I love the gel pens, they are so colorful and pretty. I would use them in car making and scrapbooking. I think the pens are awesome…not o ly for paper crafting but for other art projects as well. The sissors could be fun with the kids too. The paper punches leave a cute mark!! I have always loved Gel Pens, I think these would be great in some adult coloring books!